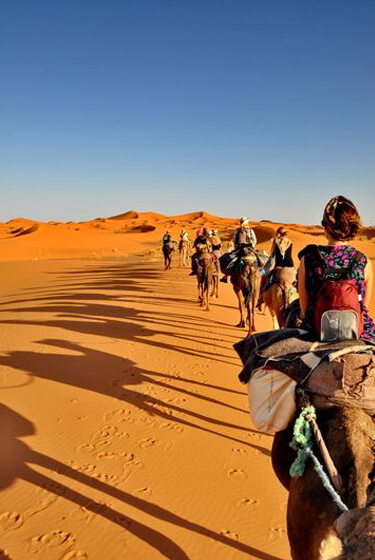 Marrakech to fes desert tours 3 days 2 nights from Marrakech to fes. Fes luxury tours introduces one of its Sahara tours from Marrakech, this presented tour is from Marrakech to Fes for 3 days. 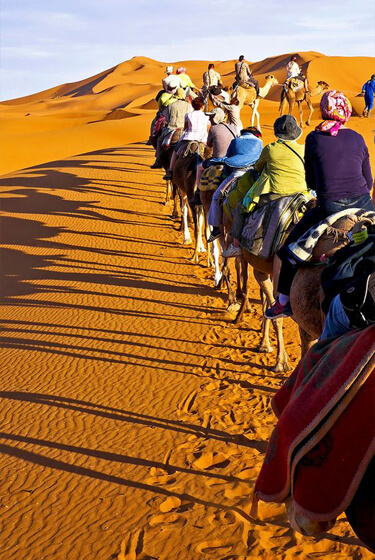 This adventure includes many activities such as camel trekking, trying nomadic lifestyle, as well as sand boarding. Join us for further details on this ouotstanding expedition of the south of Morocco. Day1: Marrakech- Tizi Ntchka- Ait Benhaddou- Ouarzazate-Boulmane Dades. The first day from Marrakech to Fes 3 days will be full of adventure. Our driver will pick you up from your accommodation or airport early in the morning towards the day’s destination Boumalne Dades. Through this ride we will pass by Tizi Ntichka as well as Ait Ben Haddou Kasbah, that was the main setting for several Hollywood movies such as the Mummy and Games of Thrones Series. After we will continue through the panoramic views toward Taourirt Kasbah. Next we will continue to Boumalne Dades passing by Kalaa Magouna. Marrakech to Fes 3 days first day will end by Dinner and overnight at the Hotel. The second day of Marrakech to Fes 3 days will be very interesting, after having breakfast in the hotel we will head towards the day destination Merzouga. The driver will take us through a road that pass by several berber villages and panoramic views, such as; Tinghir, Dades Valley, and Togra Gorges. In the afternoon we will stop at Erfoud for a lunch break in one of the famous restaurants, then we will proceed on our journey towards the Erg Chebbi Dunes. Upon our arrival to the hotel, you will have to get ready for the camel trekking activity. The camel trekking will take around an hour to an hour and a half, while enjoying the sunset. As an end of this tour we will stop at our camp in the middle of the dunes for an overnight and dinner in the middle of Merzouga dunes. 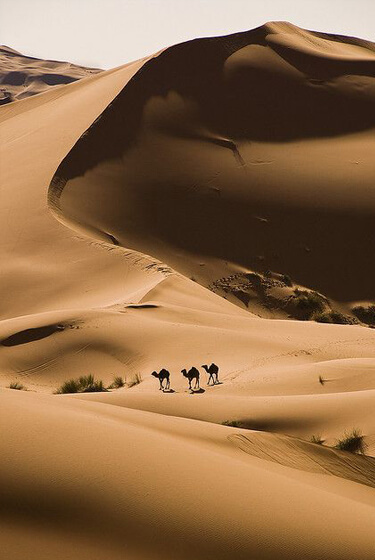 The last day of Marrakech to Fes 3 days will begin early in the morning, in order to observe the breath taking sunrise in the middle of the dunes of Merzouga. And after having your breakfast we will go back to the hotel on camels to freshen up and get ready to continue the last journey. We will proceed passing by Erfoud and Ziz Valley towards Errachidia enjoying the panoramic views. Afterwards We will papss Tizi Ntlaghmat to Midelt where we will stop for a lunch break. Next we will drive towards Fes through the cedar forest of Azrou as well as the Switzerland of Morocco “Ifrane”. As an end to our Marrakech to Fes 3 days tour our driver will take you to your accommodation in Fes, so do not hesitate and make sure to join us to live your tour in luxury.